With Russia set to host the upcoming FIFA World Cup, many travelers around the world are seizing this unique opportunity to travel to the planet’s geographically largest country. 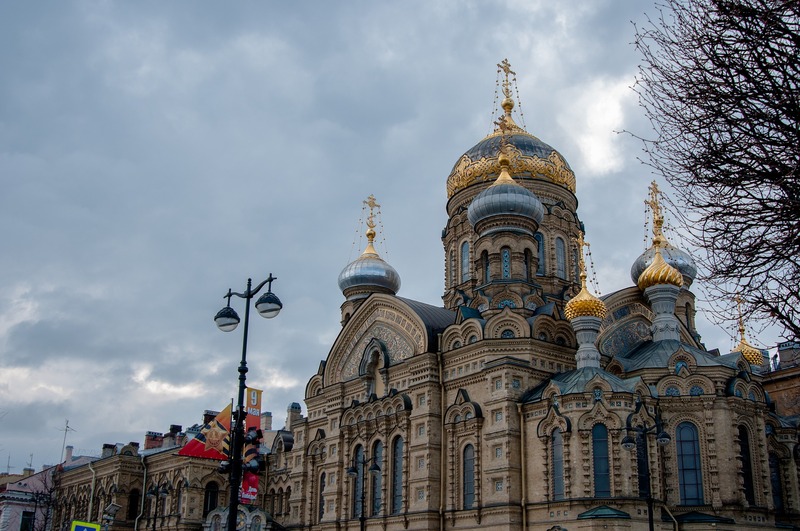 Several of the most important matches will be held in Russia’s bustling capital city of Moscow, with other games spread throughout 10 other cities in the western most part of the country. 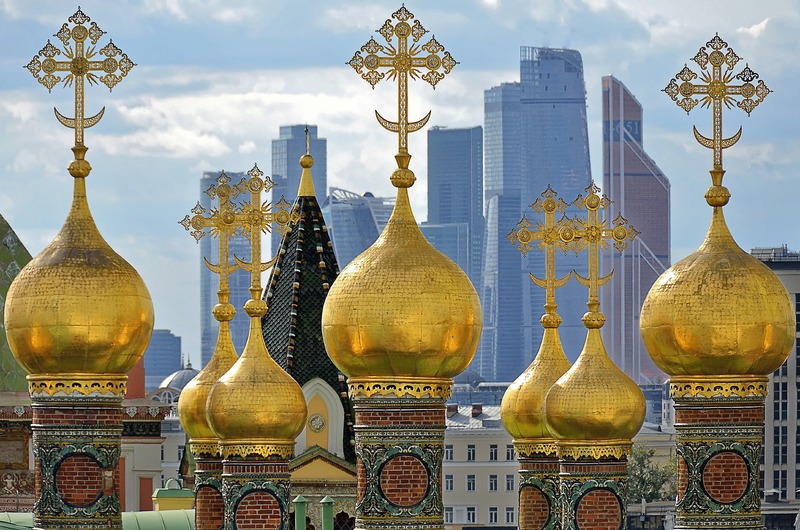 With more than 19 million people living in Moscow’s metropolitan area, the Russian capital is the single most populous city on the European continent. This statistic is even more impressive when you consider how huge Russia is – space is a resource they have plenty of. Yet the Moscow Oblast, comprising only 0.25% of Russia’s landmass, is home to more than 13.5% of its residents! 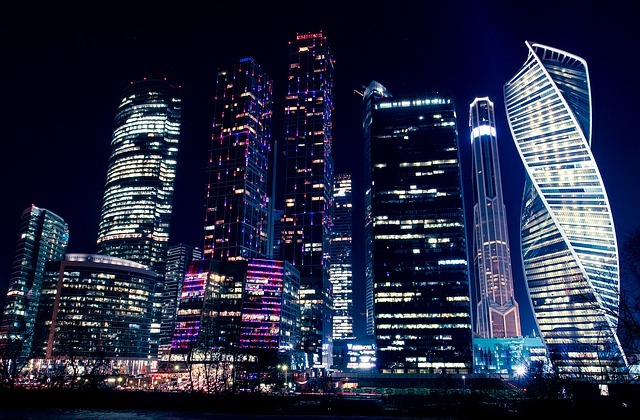 With so many people competing for so little space in the Moscow metropolitan area, it should be no surprise that Moscow is among the world’s most expensive cities to buy or rent real estate. 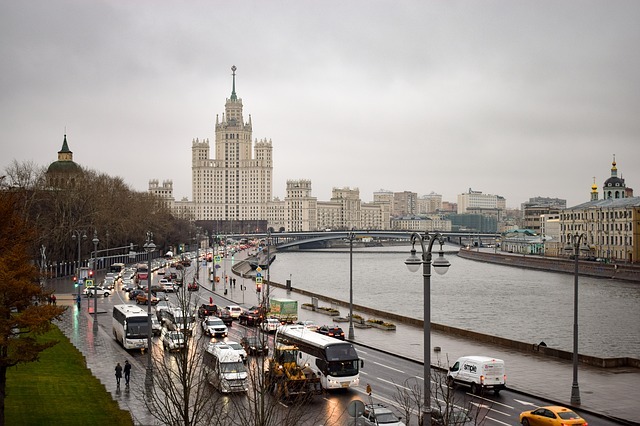 Moscow consistently ranks among the top 10 most expensive cities worldwide for real estate. Furthermore, the city is a magnet for wealthy elite. With more than 68,000 millionaires and billionaires living within the city limits, Moscow offers plenty of high-class entertainment for those with big budgets. While New York’s Subway system just experienced a record-setting year for delays, the Moscow Metro continues to enjoy its status as one of the busiest and most efficient public transportation systems in the world. Originally built by the Soviets in 1935, today the Moscow Metro transports over 9 million daily passengers each weekday with some trains running as often as every 90 seconds. 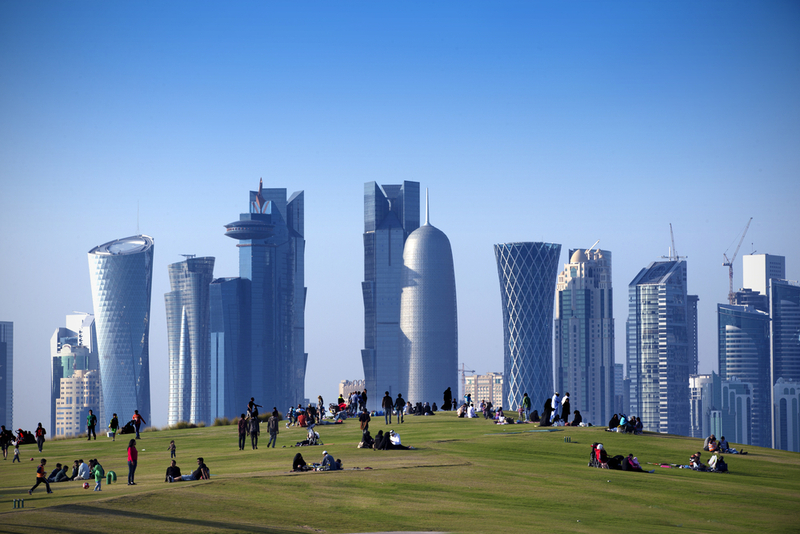 The only city transport systems that carry more people are Tokyo and Seoul! 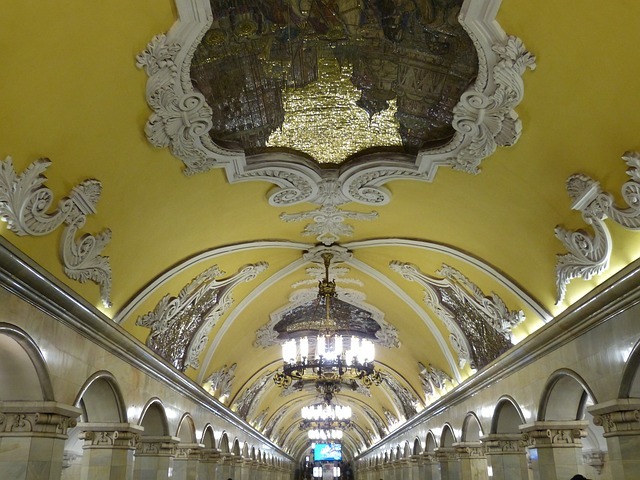 But the Moscow Metro isn’t just busy, it is also incredibly beautiful. Because an important part of Soviet policy was to integrate ideological art into public spaces, Moscow Metro stations are like underground art and history museums. Another fun fact about the Moscow Metro has to do with the announcements made in the trains, a tip that can be particularly useful for tourists navigating Moscow. If you hear a male voice announce the next station, you are on a train bound for the city. If you hear a female voice, then you are headed out of the city. 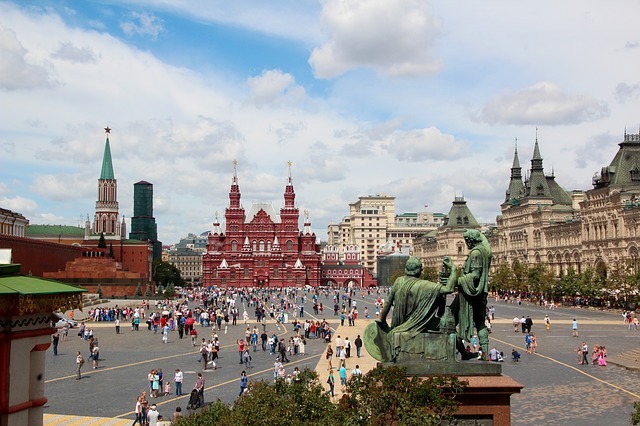 Part of the Soviet legacy that is still plainly evident in Moscow today is the fact that there are seemingly endless cultural sites and landmarks. In fact, there are more than 400 museums in Moscow. From statues celebrating Soviet accomplishments to historical buildings to world-class art galleries to sprawling urban parks – Moscow has an attraction on every corner. Education and leisure were two areas of public life in which the Soviet state was heavily involved, and their efforts to these ends are all over the city. More than any other event that lead up to the fall of the Soviet Union, the opening of the country’s very first McDonald’s in Moscow seems to be the most symbolic. The fast food corporation had been in discussion with Soviet officials since 1976 about potentially opening one of their restaurants in the country. 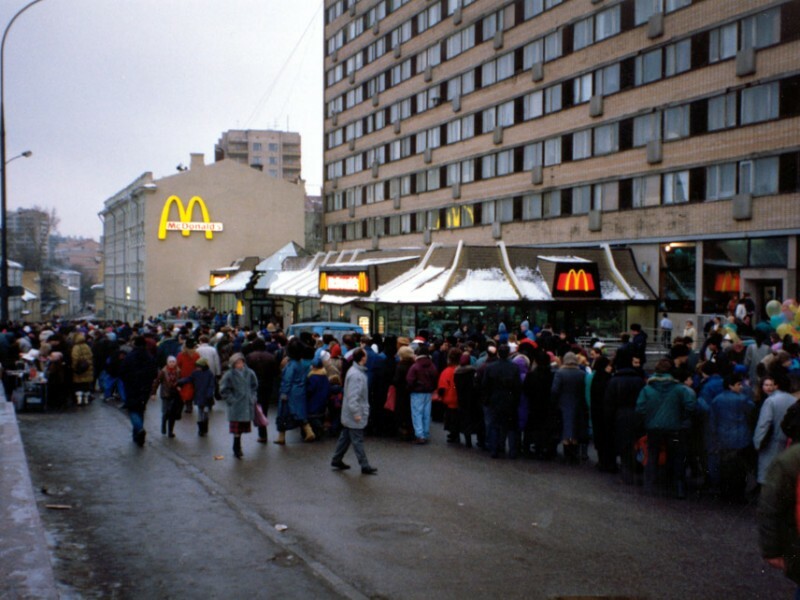 After nearly 15 years of negotiations, the USSR’s very first McDonald’s opened on a bitter cold January day in 1990 to a crowd of over 30,000 customers who waited in line for over 6 hours. Today there are dozens of McDonald’s (and Wendy’s, and Burger Kings…) in Moscow, but the original restaurant is still in operation near Pushkin Square. The line on opening day stretched for over a mile. If you stand on the street in New York and raise your arm, a yellow taxi will pull up. Do this in Moscow, and don’t be surprised if any regular driver stops and asks where you want to go. Because of the ability to haggle on the price upfront, many Muscovites prefer this “black market” taxi method to official ones. 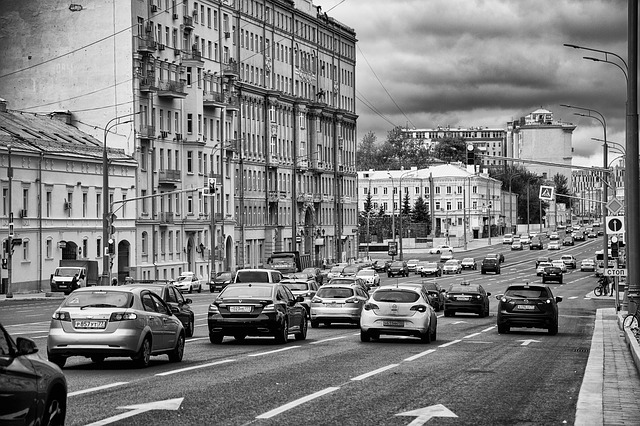 Though the practice has technically been illegal since 2011, these unofficial cabs are still incredibly common in Moscow. 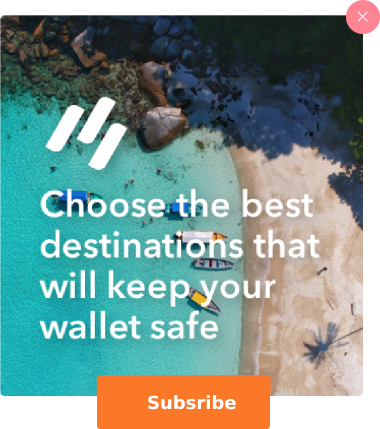 But due to scammers who prey on tourists, we strongly discourage visitors from taking any unofficial means of transport. One thing that generally sticks out to Westerners when they travel in non-western countries is the amount of stray dogs and cats they notice. Moscow does in fact have many stray dogs, but there is something pretty special about some of them. For the past few decades, a small number of stray dogs have been known to be regular commuters on the Moscow Metro. Several generations of strays have learned to enter the stations, elude capture, and take the trains to specific destinations. Most Muscovites hardly bat an eye when they see these dogs riding the Metro, but one terrified passenger stabbed a stray to death in 2001. 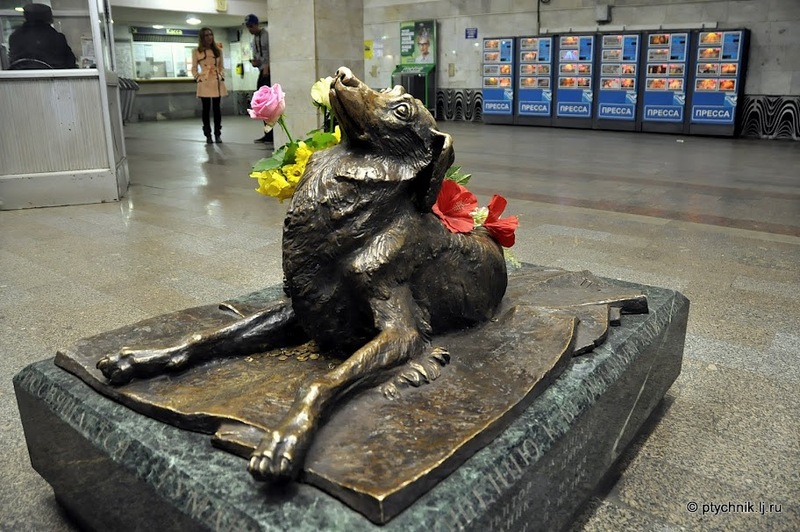 The city was so upset by this incident the stray was posthumously named Malchik and memorialized with a statue in the Mendelevskaya station. Certainly a trip for the senses, Moscow restaurant V Temnote (Russian for “in darkness”) offers a one-of-a-kind dining experience in which patrons are served without any lighting. 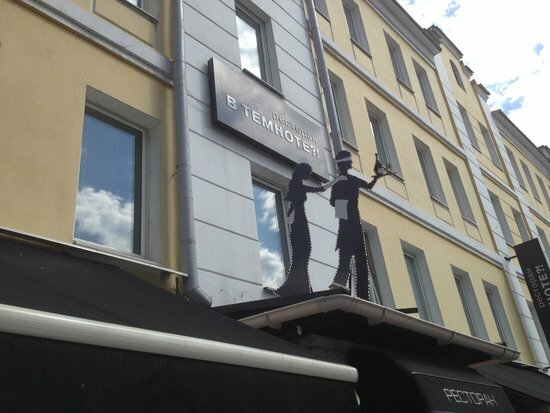 Dining at V Temnote requires relinquishing a lot of control: you don’t get to order your food, you only specify meat, fish, or vegan; you are lead blindly to your table; you cannot see the food that is served to you, so many find utensils too cumbersome and choose to eat with their hands. Fans of the concept claim that the experience heightens your sense of taste and makes you realize how atmosphere can influence our perceptions of food.